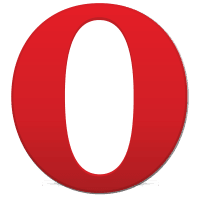 Opera Browser 55.0.2994.56 Offline Installer Download Opera for Windows computers gives you a fast, efficient, and personalized way of browsing the web. It comes with a sleek interface, customizable Speed Dial, the Discover feature, which helps you find fresh web content, the data-saving Opera Turbo mode, visual bookmarks, over 1000 extensions. Do more on the web in a fast browser! You can download Opera for PC offline installer from our site by clicking on free download button. But, Opera isn’t just about cool features. It’s about your experience on the web – more info, more content, more fun, more communication. We’re happy to deliver this to millions of people around the world. Give it a try – download our browser today and join the Opera family!